>I'm a bread making girl! I will make these. 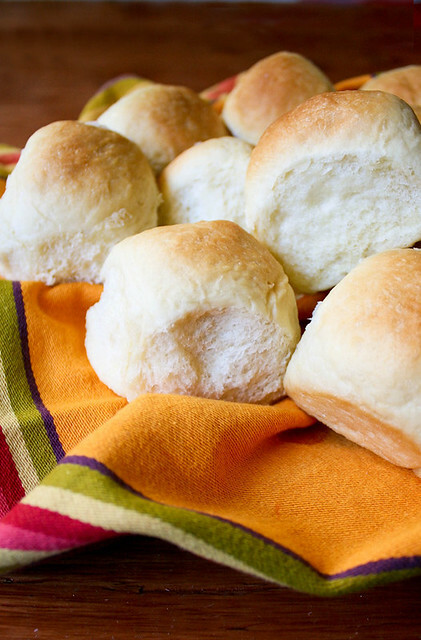 These look like the perfect Thanksgiving rolls! >Yeast rolls are absolutely my favorite part of Thanksgiving — no joke! 🙂 These look great! >Homemade rolls are one of my favorite parts of a holiday meal. These look wonderful! >Yum, I need some of these in my life! >I am 100% sure that I am making these for our Thanksgiving dinner! >These look exceptionally soft which is definitely my cup of tea, too. Thanks for the freezing instructions!! I really want to make rolls again for Thanksgiving and thinking of trying something new…maybe this?? I made these last year for Thanksgiving and they were a huge hit. My family requests them all the time now. In fact, a specific request was made for these to appear on the Thanksgiving table this year. Thanks for sharing a great recipe.